WASHINGTON Hacked emails from the personal account of Hillary Clinton’s top campaign official show her aides considered inserting jokes about her private email server into her speeches at several events - and at least one joke made it into her remarks. The crack scored a laugh from the audience, but the issue was plenty serious. About a month earlier, news broke of an FBI investigation into whether some of the emails that passed through Clinton’s unsecured server contained classified information. Ultimately, the agency criticized Clinton for being reckless with classified information but declined to prosecute her. But hacked emails of John Podesta, Clinton’s top campaign official, show the Democratic candidate and her team were slow to grasp the seriousness of the controversy, initially believing it might blow over after one weekend. It did not, and became the most recent example of a penchant for secrecy that has fueled questions about Clinton’s trustworthiness, which she has acknowledged has been a political challenge. 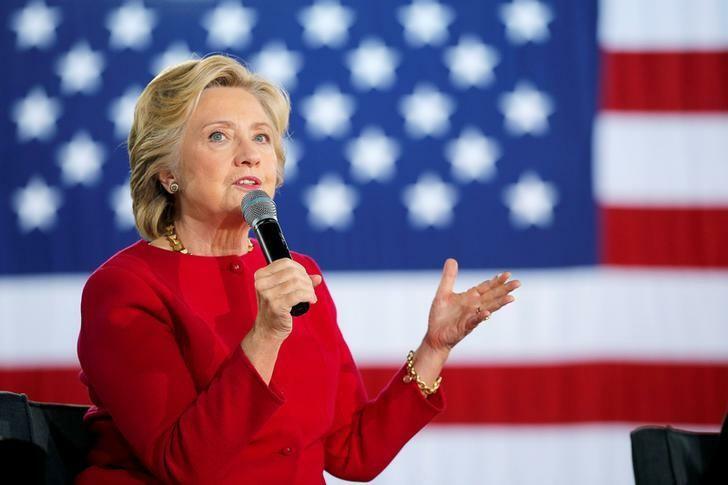 Almost from the moment The Associated Press on March 3, 2015, called the campaign for comment on its breaking story that Clinton had been running a private server to five months later, campaign aides sought venues on Clinton’s schedule where she could show some humor over the issue, according to the hacked emails. In a series of emails on March 3, 2015 - the same day The Associated Press called for comment - staffers tossed around the idea of making jokes about the emails at a dinner hosted by EMILY’s List, a political action committee, that evening. The idea got a mostly favorable response at first. “I don’t think it’s nuts if we can come up with the right thing. But it could also be nuts,” replied campaign spokesman Nick Merrill a couple of minutes later. Clinton’s campaign aides also considered using Virginia Gov. Terry McAuliffe’s 2015 appearance at the Gridiron Dinner, an annual Washington joke-fest involving journalists and politicians, to try and defuse the email issue. McAuliffe is a longtime confidante of and fundraiser for Clinton, and was chairman of her unsuccessful 2008 presidential bid. “Anyway what do we think about using gridiron to puncture the email story a little,” wrote Palmieri, who suggested possible joke topics, including one involving Jeb Bush. Clinton campaign manager Robby Mook expressed concern, saying reinforcing the idea that Clinton and McAuliffe are close “conjures the 90s stuff” - a reference, to Bill Clinton’s two turbulent terms in office. McAuliffe’s routine at the Gridiron did not ultimately include the discussed email routine. Five months later, Hillary Clinton’s director of speechwriting, Dan Schwerin, shared a draft of a speech for the annual Iowa Wing Ding dinner in an email to colleagues, asking for input. “I look forward to your feedback. (Also, if anyone has a funny email/server joke, please send it my way. ),” he wrote on August 13. Associated Press writers Juliet A. Williams in Sacramento, California, Andrew Welsh-Huggins in Columbus, Ohio, and Alan Suderman in Gainesville, Florida, contributed to this report.